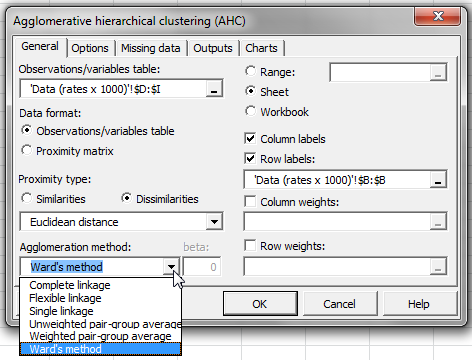 Agglomerative Hierarchical Clustering (AHC) is one of the most popular clustering methods. Available in Excel using the XLSTAT statistical software. Node statistics: This node statistics table shows the data for the successive nodes in the dendrogram. The first node has an index which is the number of objects increased by 1. Hence it is easy to see at any time if an object or group of objects is clustered with another object or group of objects at the level of a new node in the dendrogram. 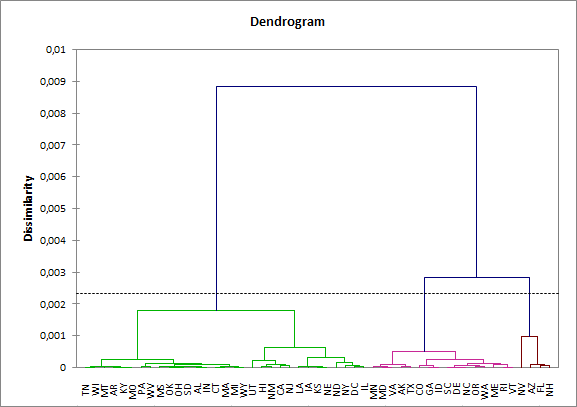 Levels bar chart: The level bar chart table displays the statistics for dendrogram nodes. 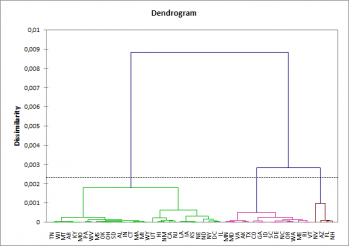 Dendrograms: The full dendrogram displays the progressive clustering of objects. If truncation has been requested, a broken line marks the level the truncation has been carried out. The truncated dendrogram shows the classes after truncation. Class centroids: This class centroids table shows the class centroids for the various descriptors. Distance between the class centroids: The distance between the class centroids table shows the Euclidean distances between the class centroids for the various descriptors. 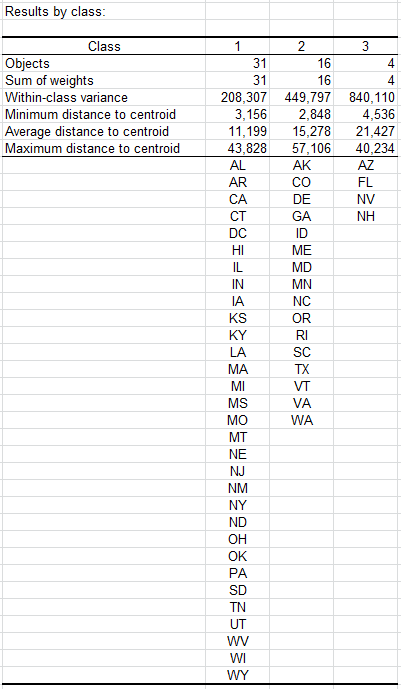 Central objects: The central objects table shows the coordinates of the nearest object to the centroid for each class. Distance between the central objects: This distance between the central objects table shows the Euclidean distances between the class central objects for the various descriptors. Results by object: The results by object table shows the assignment class for each object in the initial object order.